The Silat secret to beat a faster opponent. …and no matter how hard we train we can’t afford to make the assumption that the attackers will be slower than us. Especially in Pencak Silat where blades are a given. …and every day we get older and more and more people become faster than we are. …and even if we are fast, 3 attackers half our speed still have a speed advantage. There are two things that beat speed. Either one is good, both together is almost unbeatable. And, unlike speed, these do NOT decline with age. So you can keep getting better and better no matter how slow you get. Timing is showing up for the race a day early and getting a 24 hour head start on all the other runners. Position is when you start the marathon 5 feet from the finish line. Understanding position is absolutely critical. Kuntao Silat lessons 2, 4 8 & 10 all teach essential positioning skills. 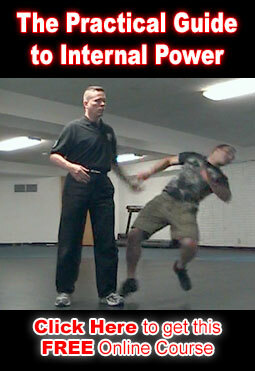 Bagua lessons 13 and Tai Chi lessons 15, 16 & 17 teach internal positioning skills. …and most of the other lessons are using these positioning principles even when the focus is on teaching other skills.